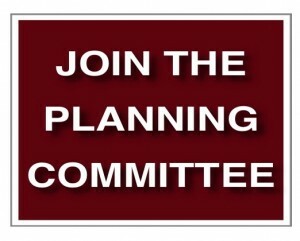 Help to organize the overall activities of the coalition at our monthly Planning Committee meetings. 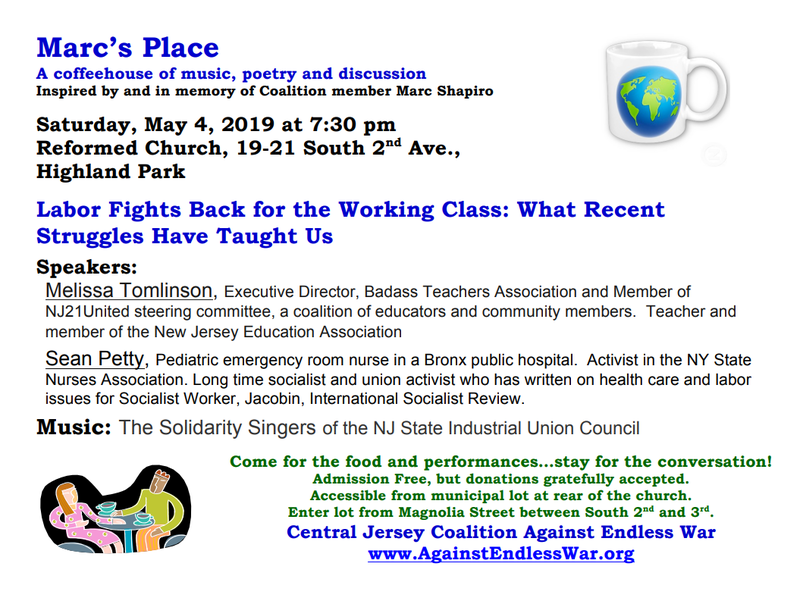 Please call 732-771-7882 or email us at NoEndlessWar@gmail.com to confirm the date of the next meeting. OPEN TO ANYONE INTERESTED IN PARTICIPATING! All welcome to attend, in fact we need your ideas and help! 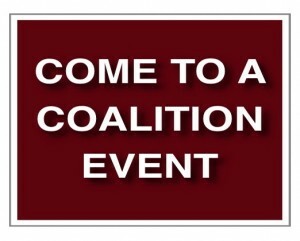 Click to view more Central Jersey Coalition Against Endless War and other related community events. 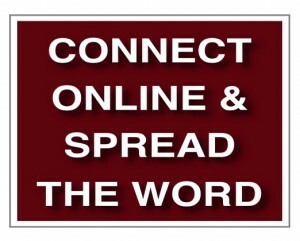 Join our weekly Announcement Yahoo Groups mailing list. Click below, and scroll down to our email list signup form.